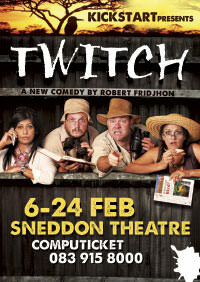 Twitch, the world premiere of a new South African comedy, is about two harassed couples in a bird hide over a birding weekend competition. 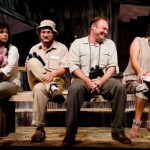 Four twitchers in a bird-hide, somewhere in the Kruger National Park are taking part in a major birding competition. 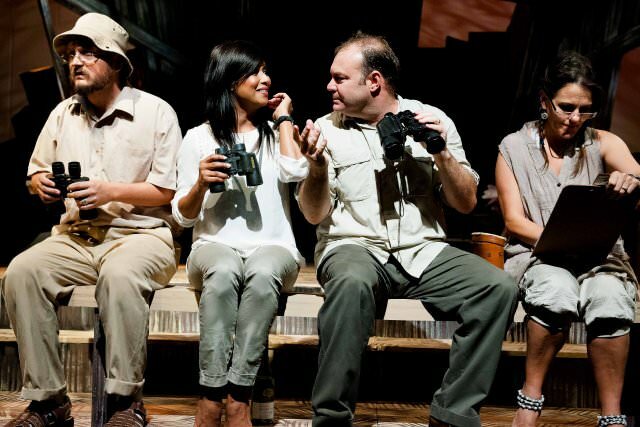 The pleasantries and social formalities slowly begin to unravel with outrageous consequences when uncomfortable truths are revealed about the birding club, its members and, more specifically, one another. 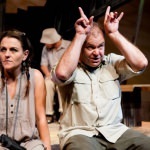 Twitch, which is KickstArt's first production of the year, had its world premier at the Elizabeth Sneddon Theatre this week and the capacity audience received it with gales of laughter throughout… excellent performances… Greg King's inspired set… Steven Stead's masterly direction… Five Stars *****! 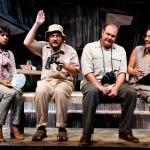 It's not for nothing that Durban's KickstArt Theatre continues to grow in stature, last year having spread its wings nationally with tours of Red and Cabaret… The company has long been on a winning streak and Twitch, a fun comedy by Robert Fridjhon should add to the success… when it shakes its tail feathers, it takes flight! 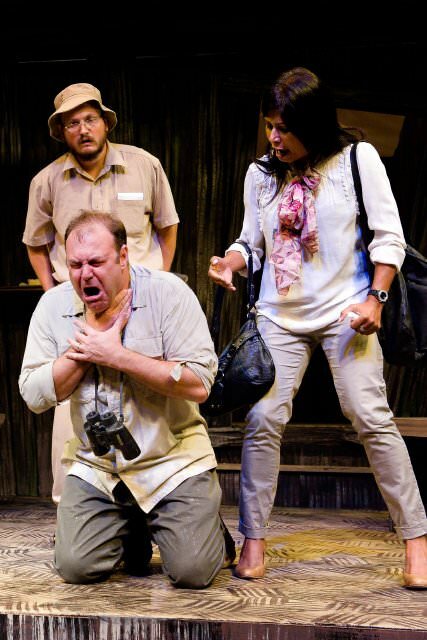 Director Steven Stead keeps a tight rein on his actors, who in turn deliver excellent performances and have great fun performing Fridjhon's comedic lines. 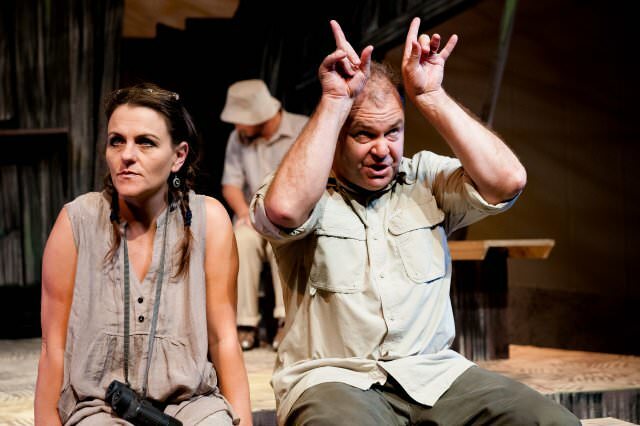 Congratulations are also in order for lighting designer, Tina le Roux, and set designer, Greg King, whose deceptively simple set provides both the claustrophobic space that the actors inhabit in the hide, while hinting at the huge expanse of the wilderness beyond the walls. 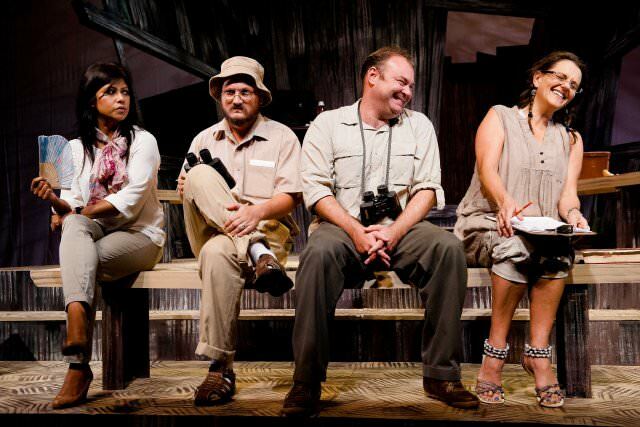 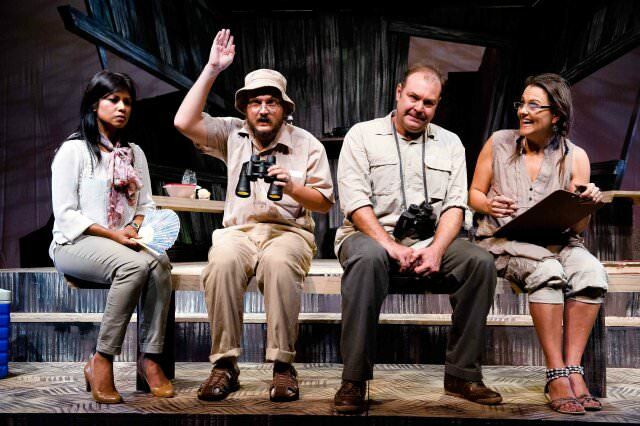 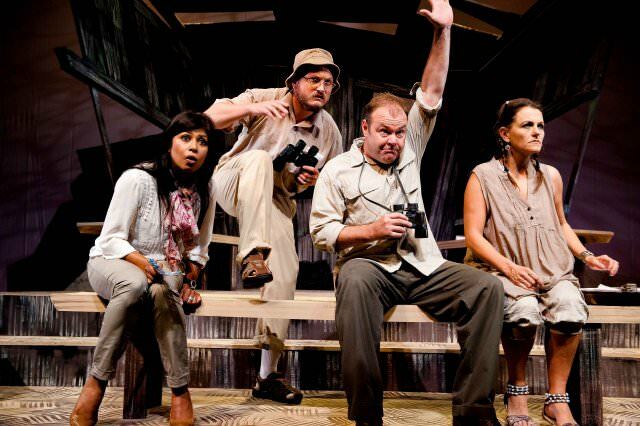 Twitch is a great new South African play, so , whether you're a bird lover or not, I suggest you join its four "twits" for an hour-and-a-half of hilarious fun.